This video course is for violinists who want to learn how to play jazz and how to improvise! Featuring pro UK violinist and top educator Chris Haigh, who's played with the likes of Alison Moyet, Bob Geldof and Morcheeba. Chris Haigh is a pro violinist based in the UK. He's played with the likes of Alison Moyet, Bob Geldof and Morcheeba. He's also a world-renowned fiddle expert and educator. This course is based on the first part of his best-selling book Exploring Jazz Violin, and will get you playing jazz and improvising on violin in no time. In this course Chris starts out showing you very easy ways to improvise, which he's perfected over years of teaching and workshops with classical and folk players who break out into a sweat at the mere thought of improvisation! Note that you need a small amount of classical theory to get started, but no jazz theory at all! Throughout the course, Chris will use several jazz melodies to demonstrate particular ideas and the course comes with backing tracks so you can play along and try your own ideas and improvisation. If you want to learn how to play jazz and improvise, then this is the course for you - let's get started! 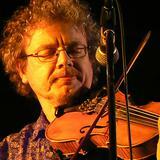 Chris Haigh has been a professional fiddle player for 25 years, with experience covering many different genres. He has played in over 75 albums, working with artists including Alison Moyet, Bob Geldof, All About Eve, Michael Ball, David Soul, Oumou Sangari, The Quireboys, Riverdance, Morcheeba, James Galway and Steps. He has played swing jazz with The Kimbara Brothers, Diz Disley, Le Jazz, The Hot Club of London, and the Quecumbar Allstars. He leads a 7-piece Soviet swing band - The Kremlinaires. Chris gives lessons and workshops on jazz violin technique and has taught jazz violin at Middlesex, Brunel and Newcastle universities and Truro College. Writing credits include nine other fiddle books, including The Fiddle Handbook. His website, www.fiddlingaround.co.uk, is probably the most comprehensive and widely visited source of fiddle information on the web.